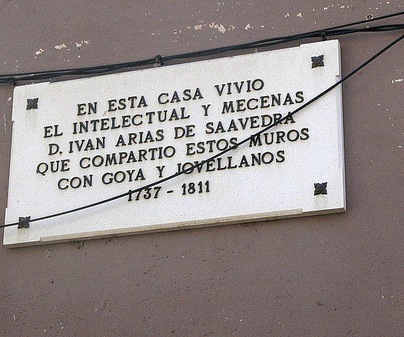 In 1808 the famous erudite writer and politician Gaspar Melchor de Jovellanos lived here after his exile and prison in the “Castillo de Bellver”, in Palma de Mallorca. 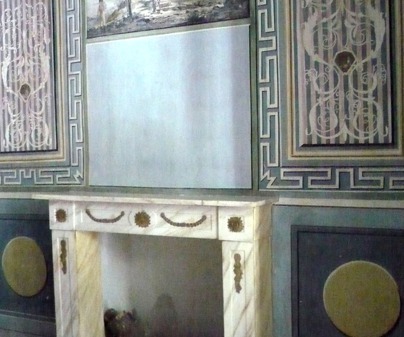 The little room is ornamented with prominent Baroque-style fresco paintings with scenes of personal memories of Jovellanos. 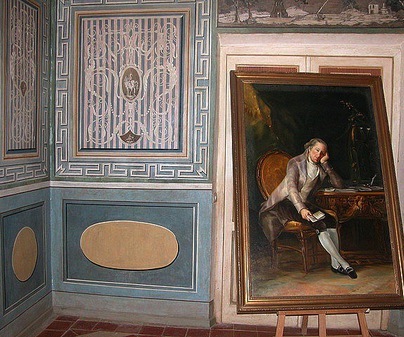 There, during his stay, he welcomed his friend Goya, who went to Aragón and France. It is said that some drawings in the walls could be made by this last one. Prior appointment by phone: 949 89 00 00. Free entry. 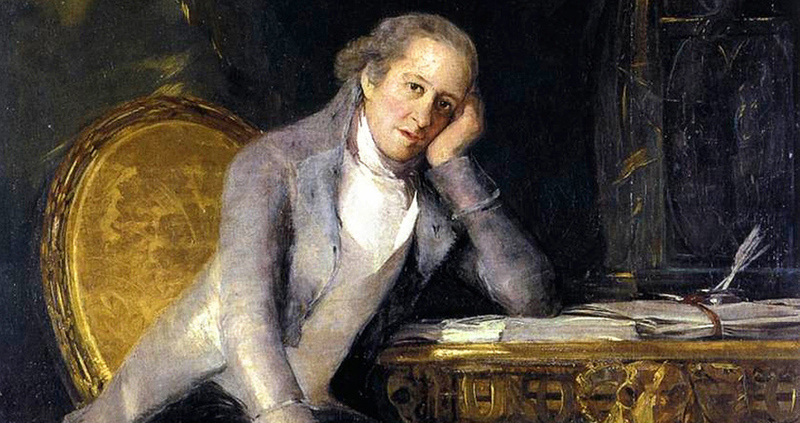 Jovellanos was almost everything in his life: writer, poet, jurist, ministry and essayist of different topics: economics, politics, philosophy and customs. Once he was out of prison, he refused to be part of José Bonaparte’s Government, known as “Pepe Botella”.